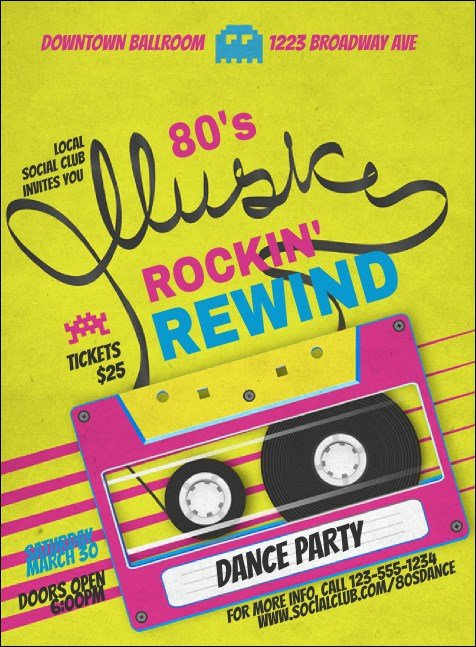 Invite prom queens, geeks, athletes, and all the cool kids when you send out the 80s Music Invitation before your retro event. Printed on high quality card stock, these invites include an awesome pink mix tape and bold neon colors. Don't be lame! Get those RSVPs ASAP with this rad invitation. No more Manic Mondays! TicketPrinting.com takes the stress out of party planning.